Spanky passed away this week after a long battle with cancer. I met Spanky in the early 90’s when we were both active with National Leather Association. He was friendly, fun and a tireless volunteer. I remember when he became the Northeast Drummerboy in 1993; there was a travel fund for Northeast Drummer but not for him and that struggle was the seed of his “boy” activism. Spanky dropped out of the community for a few years but he came back and was more active than ever. 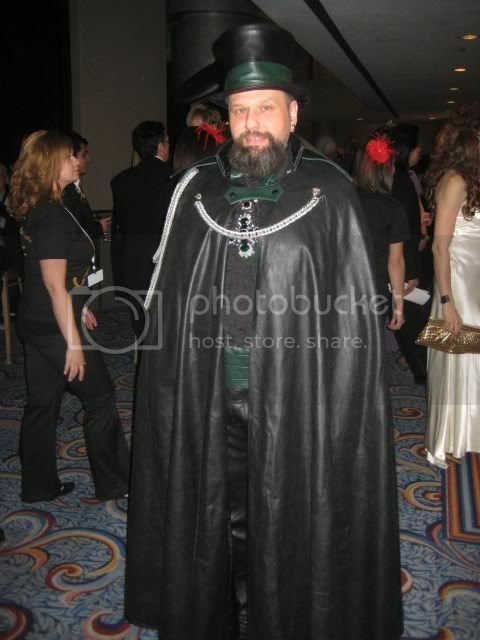 He was Mr. New Jersey Leather 2008, a founder of Jersey boys of Leather, a member of Team Eagle, and was was involved in both The Imperial Court of New York and the Sisters of Perpetual Indulgence. He was also a very dedicated member and hard-working of the Leather Pride Night committee. There will be two viewings on Saturday April 9 (2-4pm and 7-9pm) at Buckley Funeral Home, 509 Second Avenue, Asbury Park, NJ. Club Colors and Title vests welcome. Please no flowers, donations may be made in his honor to the Foodbank of Monmouth and Ocean Counties or to a charity of your choice. A Memorial Celebration of his Life will take place the afternoon of Saturday, May 7 at Paradise in Asbury Park.